Sign up today with LinkedIn Learning for a special 10% discount coupon. Act now and take advantage of a free month with this special offer from LinkedIn Learning. Act now and save up to 50% off select courses from LinkedIn Learning online. 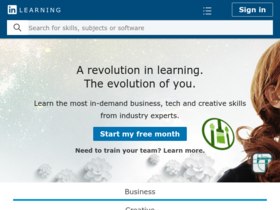 Check out LinkedIn Learning online for their latest special offers.